Very powerful tool to manage my projects. It gives me the ability to gather all the relevant information and have it one single platform, from the coordination of tasks and communications with the client and the team, to the financial follow up available anywhere all the time. The project dashboard and reports module provide information about the performance of the project in real time with just a few clicks. The search engine. When you have multiple projects it is sometimes not easy to find the one you are looking for using the search bar. I also think it has the potential to include an Account management section to allow for a quick follow up of a client rather than only a single project. Take a little time to surf through the features and think of what would be the easiest way to organize your project in order to easily visualize the information that you value most for the performance review. Project Management and Account Management. "All in one Managment Platform"
The best aspect of Frank Collaboration is to have all project aspects together on the same site. It makes your journey so much easier as you can manage the communication with your client, the files transfers, the financial aspects all in the same website. When you have many projects to manage this is a reliable platform that allows you not to leave unattended items. On the "Gallery" it would be nice to be able to create some sub-folders to get the marketing information more organized. Other than that, is great to have the chance to create a Public Portfolio to promote our company projects. It's a huge challenge to track hours of each project and make sure they have the expected profits. It is very helpful the BI section and the Reports section that Frank offers to quickly understand the project health. Hosting all the information in a single place it is easy and straight forward to coordinate and track back any task or client requirement. Billings, payments, communications, deliveries… everything related to my projects are available online. It also runs well on my personal tablet. It It might be not user friendly at the very beginning of your experience. The way this platform shows you how to organize your company standards , it seems to force you to adapt to the way "Frank” works and coordinate projects. Later you realized Frank can be flexible enough to comply your workflow. Assuring all team members follows the same path to comply with company standards to keep the ISO 9001 certification. All information can be easily acces by all lteam members anytime and anywhere. Easy to track deliverables, billings and client comments. It's really useful how to track hours project by project. In AEC industry this is mandatory in order to grow taking care of profits. The BI section is very user friendly and allows you to track hours with different filter. The design is very cool and easy going. Maybe could improve with a Business Unit option to review on the dashboard in a glance the results of the entire unit. I really enjoy with the portfolio option, and as I mentioned before the time tracking. The Project Dashborad is a strong weapong for a management perspective. "Mi experiencia con Frank Collaboration"
En mi desarrollo profesional como Arquitecto, la plataforma Frank me ha ayudado a manejar mis proyectos de una manera más ordenada y eficiente posibilitandome diagramar un mejor esquema de trabajo. La interfaz es práctica y fácil de manejar, las herramientas que ofrece varían dependiendo de la actividad desde la pestaña de TIME TRACKING que te permite cargar horas a proyectos dependiendo de las diferentes tareas que comprenda, como así también la posibilidad de poder compartir y cargar archivos mediante la plataforma. Frank se ha convertido en una herramienta vital a la hora de encarar mi trabajo. Frank allows for an efficient, sinthetic everyday overview of my projects. All the important information is gathered at one place: team composition, client contact information or financials. I think a huge imprivement to the tool would be allowing for deliverables at a given project to be adjusted to the real % they represent in a project fee . Time efficiency, over all benefits. "The easiest way to manage your staff"
Regarding the Human Capital area, it's really useful to have all the staff related information in a consolidated platform, which not only allows you to see current data related to individual staff but also historical data: from personal to compensation data, and time tracking. I believe Frank lacks a staff Performance Evaluation module, which would be great! Sometimes it is a little bit tedious to upload staff data, but once this taks is completed you realize that the invested time is really low compared to the won time. The most visible benefit: time, every minute you save working with Frank. "Very helpful but not for everyone"
Fair prices, great technical support and above all its customization capabilities. On top of that the design is very intuitive and frankly, as good as it gets. Give it a try. It's the best of its sort in the market on some aspects. Marketing and business development above all although we're considering using it at Human Resources. Our databases were a nightmare but not anymore. I can have quick access to all the project data from the same place wherever I am. Compare, analyze and budget new projects from solid and consistent information. Interface is always getting better and more confortable, it could go even further. Linking office tasks straight forward to communication channels with clients avoids misunderstandings, saves time and money. * We monitor all Frank reviews to prevent fraudulent reviews and keep review quality high. We do not post reviews by company employees or direct competitors. Validated reviews require the user to submit a screenshot of the product containing their user ID, in order to verify a user is an actual user of the product. Hi there! 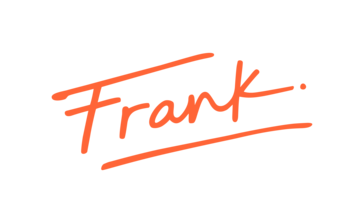 Are you looking to implement a solution like Frank?